Here’s the link if you want to make it yours as well. I keep it front and centre as a reminder that the biggest things in life are achieved by doing things that most other people wait for ‘permission’ (from someone or something) to do. Understanding just how BIG the ‘box’ is. I personally believe it’s a result of our schooling system, where you’re conditioned not to do anything that might be a ‘mistake’ (but that’s for another post). 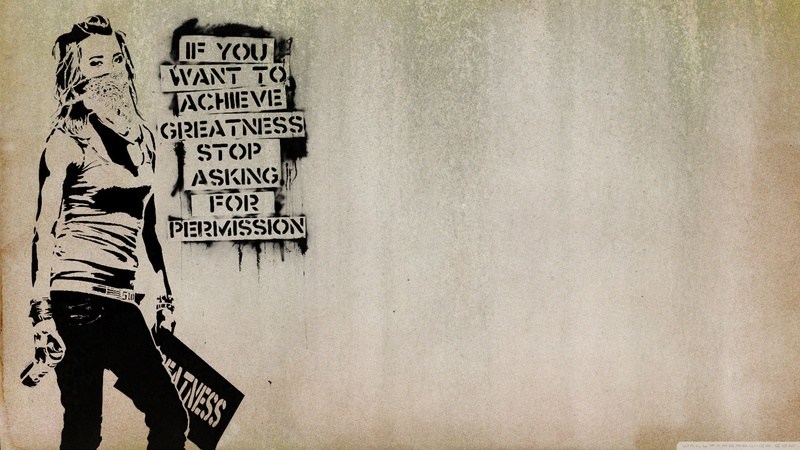 …because greatness isn’t a place of safety. It’s a place where you’re doing things that other people aren’t prepared to do, and THAT means failing a lot more times than you succeed (which is what success is all about). My goal for myself (and for my team) is to understand that the box is SO MUCH BIGGER than we think it is. And that you can do SO MUCH MORE than what you think you’re ‘allowed’ to do. I co-founded Web Profits in 2006 with the belief that there's always a smarter and better way to do things. We're now a digital growth consultancy with offices in Australia, Singapore, and the United States. I'm passionate about personal and professional growth, and I like to surround myself with people who are as well. I have substantial private board experience, and have successfully launched an IPO. I’m the co-founder of Web Profits, investor in a number of different companies, and have successfully launched an IPO. Get access to 95% of my best life hacks.